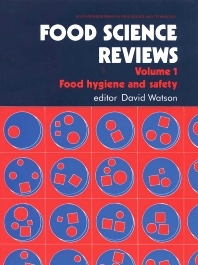 Bridging the gap between journal articles and specialised books, Food Science Reviews provides expert coverage of key areas of food science. Drawing solely on contributions from leading scientists, the collated essays established themselves as a standard reference on the most interesting current work in the field. This topical first volume covers an area which is increasingly in the public and scientific eye. Expert contributions on all aspects of the microbiological and chemical safety of food provide a key review of food hygiene and safety. Part 1 Microbiological safety of food: Hazard analysis critical control point system: Application in the food industry for microbial safety; Escherichia coli and shigella; Fodborne campylobacter enteritis; Listeriosis. Part 2 Chemical safety of food: Antimicrobial agents in fermented and non-fermented fruit beverages; Chemical contamination of food.